Replacement bearing our part 37283. This superlight front hub will fit Brompton front forks, it's 75grams lighter than the standard Brompton hub and has much lower rolling resistance. Can be built up into very high quality front wheel for your Brompton by our wheel builder on request. Nice quality replacement hub and it's light! I am finding 20 hole hub. These are only available in 28h. I want to know the spec. Can I know the spec? Because I want to calculate the spoke length. Do you have this hub in silver? If I use this hub with the original front rim, Can I use original spokes? 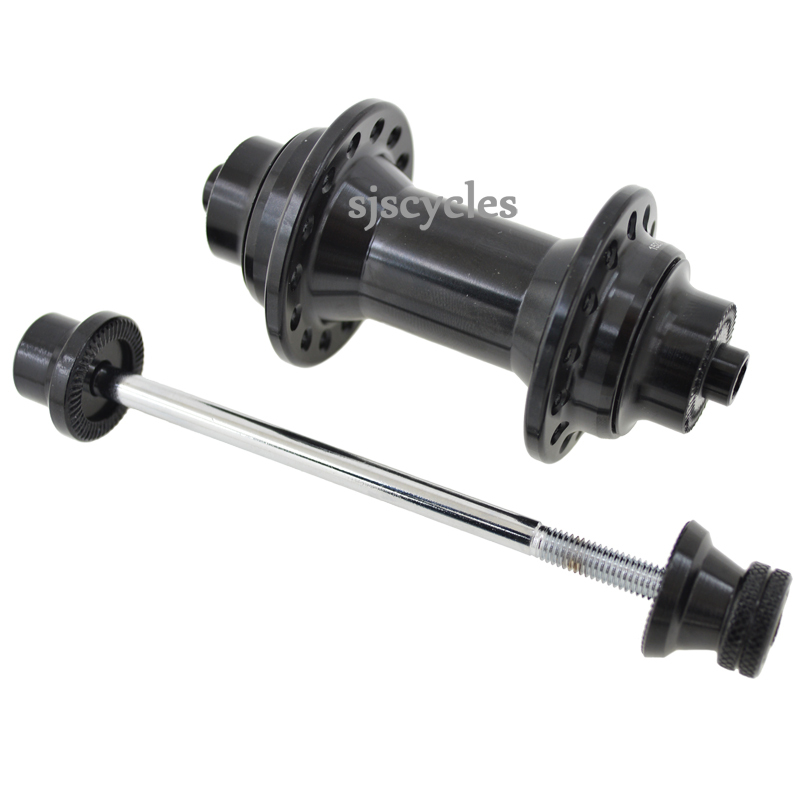 Yes its SJS Cycles part number : 37281. The original spokes will not be the correct length and you will need to use 147mm spokes for radial lacing. The same rim and hub built two cross would require 152mm spokes. Again the only black spokes we'd have in this length would be the Jtek ones. With this hub and a Brompton double wall rim built one cross you would need 147mm long spokes. The only black spokes we have in that short a length are plain gauge Jtek ones, these are SJSC part number 38001.